For IT News Week 3 Mar 2018. Quann Malaysia (formerly known as e-Cop Malaysia), a leading regional managed cyber security services provider, urged Malaysians to be prepared for a rise in Clickbait Phishing links that could potentially be a cybersecurity threat during the upcoming 14th Malaysian General Elections (GE14). Ivan Wen, General Manager of Quann Malaysia says, “When a news sounds too good to be true, it is likely fake news. However, the masses still fall for these and this is how Clickbait phishing sites or emails with attachments are often sent with sensational titles that bait users to click links for ‘Exclusive’ or ‘Shocking’ stories. “Besides that, these phishing links could automatically be shared with your contacts once they have access to your device, potentially putting your contacts at harm,” Wen adds. To prevent being infected by malware via clickbait links, check out this link. Given the prevalence of new malicious email threats such as email phishing, organisations need to beef up their protection against advanced email security risks. Cognizant of this, Malaysia-based conglomerate Berjaya has deployed global information logistics specialist Retarus’ E-Mail Security services to safeguard itself as it expands its operations across data-intensive sectors. Berjaya has since been able to block at least 95% of malicious emails directed towards its employees, while enhancing the level of email traceability and tracking throughout the conglomerate. 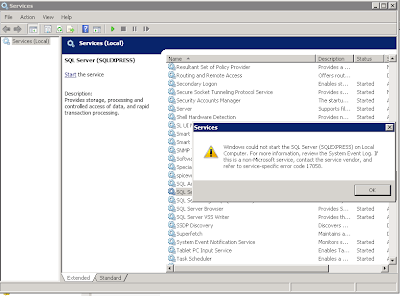 Given the prevalence of new malicious email threats that bypass most email security filters, Berjaya has been relying on Retarus Post-delivery Detection, which includes the patent-pending Patient Zero Detection technology, for identifying and uncovering previously undetected email security risks (the so-called “patient zeros”) without delay. With Patient Zero Detection, Berjaya is able to immediately identify recipients of infected messages and mitigate the impact of ransomware attacks on its enterprise network once it has been infiltrated by malware. By delivering instant alerts upon discovering malware in attachments or phishing mechanisms in emails, Retarus Patient Zero Detection enables Berjaya’s IT administrators to stop malware or data breaches from wreaking further havoc across the entire organisation. Shopee, the leading e-commerce platform in Southeast Asia and Taiwan, is launching the Gentlemen’s Collection as part of March’s PayDay campaign. From 26 to 28 March 2018, users can shop the collection featuring hundreds of top trending male products at up to 90% off, and stand a chance to be one of 10 lucky shoppers to win tickets to watch the finals of the Shopee Piala FA Malaysia live. Users need to simply purchase an item from the Gentlemen’s Collection to qualify for the draw. Mobile & Gadgets are one of the top trending categories among male users. In addition to charging cables and power banks, protective phone cases, such as shock-proof and waterproof cases are among the top selling items in this category. Health & Beauty may sound like a surprising category to be trending among males, but it’s no surprise to find that supplements such as protein powder and other “beauty” necessities like shampoo and deodorant are frequently purchased online by male users. Shopee recorded a total sale of more than 12,000 units of sports nutrition products last year. 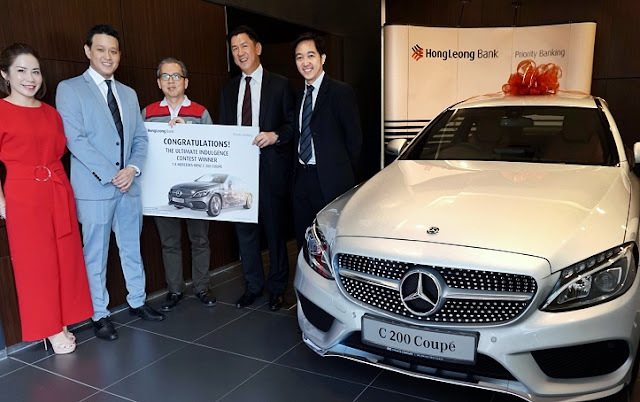 Hong Leong Bank (“HLB”) Priority Banking had recently announced the grand prize winner of ‘Win a Mercedes Coupé Contest (“the Contest”) at Cycle & Carriage Cheras, Kuala Lumpur. The grand prize winner, Mr. See is from Penang and has been a supportive Hong Leong Priority Banking customer. The contest ran from July to December 2017. Hong Leong Priority Banking customers took part through two simple steps, being by signing-up and choosing their preferred investment or savings products and services. Multiple entries were allowed. Participating products and services include deposits, credit card, mortgage, hire purchase, bancassurance, investments, signing up as a new Priority Banking member, signing up as a new Hong Leong Connect user and registering as a user for HLB’s e-account statement. OPPO is proud to announce its collaboration with Dolby Laboratories, a world-leading expert and developer of audio, imaging and voice technologies, to form a global, strategic intellectual property partnership on Dolby's High-Efficiency Advanced Audio Coding (HE-AAC), JPEG-HDR and other audio and video technologies. "Dolby is a leader in creating spectacular audio and video experiences, and we are excited to partner with them to further our innovation and global growth,” said Adler Feng, Director of OPPO IP Department. “This partnership will enable us to create more remarkable smartphones with exciting technological innovations and spectacular user experiences." Commerce.Asia Ventures (“Commerce.Asia”), Malaysian commerce technology venture builder, today announces the launch of its flagship offering Commerce.Asia Enterprise, that is developed with the specific purpose of enabling Small and Medium Enterprises (SMEs), to quickly move their business online. Interbase Resources Sdn Bhd (“IRSB”), Malaysia’s pioneering e-commerce giant and owner of Lelong.my, today announced the relaunch of Lmall (www.Lmall.my), offering Malaysian online netizens an enhanced premium shopping experience that guarantees 100% authentic products. Customers shopping on Lmall will have the confidence of a money-back guarantee that all the products they purchase will be 100% authentic. This is a promise driven by Lmall’s focus to delivering a safer, more secure shopping experience to its customers. Toshiba Singapore Pte Ltd today announces the new X-Series (E-Generation) devices offering professional performance and durability, designed to support users on the move. Toshiba’s latest professional range has undergone a technical refresh to maximize performance and make devices more efficient by offering a high performance of up to an 8th Generation Intel® Core™ processor. The new devices launching today are the TECRA X40-E, Portégé X30-E, and Portégé X20W-E. The new E-Generation laptops are designed to provide enhanced security, seamless connectivity and reliability. 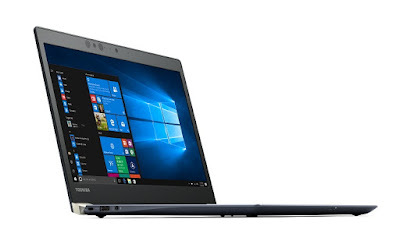 These updates to Toshiba’s portfolio further demonstrate Toshiba’s expertise in B2B laptops, offering robust devices that are designed to be ultra-mobile, ultra-thin and lightweight without compromising on high power and performance. With cyberattacks increasing in scope, sophistication and frequency, Limelight Networks, a global leader in digital content delivery, today announced a new Advanced Bot Manager option for its Limelight Web Application Firewall (WAF) solution for protecting digital content. The Advanced Bot Manager ensures maximum availability of web infrastructure by automatically stopping bad bots and facilitating good bots so revenue generating traffic is maintained. It also helps ensure fast customer experiences by enabling ongoing monitoring and tuning of bot management policies to protect web applications without impacting performance. A team of Microsoft researchers in Beijing and Washington have created the first machine translation system that can translate sentences of news articles from Chinese to English with the same quality and accuracy as a person. This level of accuracy is achieved by employing a number of techniques, one of which is called ‘deliberation networks’. This technique repeats the process of translating the same sentence over and over, gradually refining and improving the response, similar to how people edit and revise their own writing by going through it again and again! McAfee, the device-to-cloud cybersecurity company, today released its McAfee Labs Threats Report: March 2018, examining the growth and trends of new malware, ransomware, and other threats in Q4 2017. McAfee Labs saw on average eight new threat samples per second, and the increasing use of fileless malware attacks leveraging Microsoft PowerShell. The Q4 spike in Bitcoin value prompted cybercriminals to focus on cryptocurrency hijacking through a variety of methods, including malicious Android apps.